Interesting that the tower core and outer layer appear to be different types or variations of stone. We can also see the casing stones like G1's in situ. 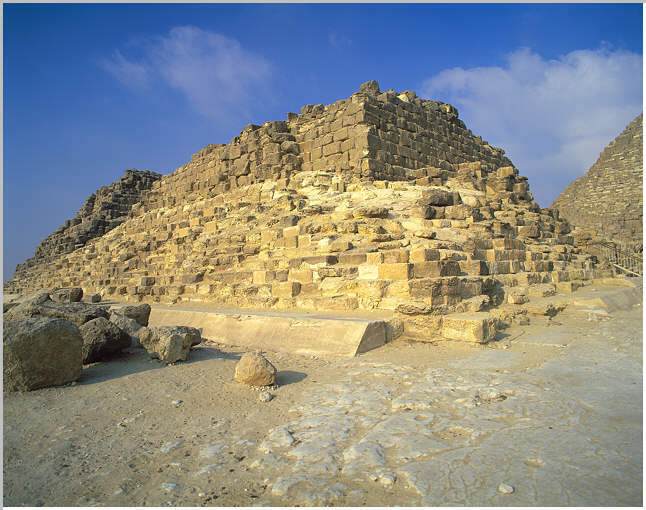 I think it is G1b, need to check for sure, (see Romer, The Great Pyramid), but there are sections of the Tura casing stones that are unfinished having been installed as rough faced like G3 then shaved flat in situ.